Former F1 world champion Mika Hakkinen believes the style of driving required to maximise the new era V6 turbo will suit Kimi Raikkonen more than his Ferrari teammate Fernando Alonso. Hakkinen believes that Raikkonen’s return to a big team is ideal as the 2007 world champion will not have to worry about financial matters, and thus enable him to focus on driving to his best ability. “Everyone knows that Ferrari has huge resources to develop self during the season. The development will not stop, even if good engineers leave. And Kimi does not have to be worried about the financial side, Ferrari has what it takes,” concluded Hakkinen. In an exclusive column for AUTOSPORT, double world champion MIKA HAKKINEN gives his view on Kimi Raikkonen’s Ferrari return and explains why he rates Valtteri Bottas so highly. To see Kimi Raikkonen back in a Ferrari this year will be fantastic for the Finnish fans, but it will not be easy for him going up against Fernando Alonso. When I was at McLaren many years ago and a new driver came in, I had an advantage because I knew all the mechanics and the car was tailor-made for me, so I wouldn’t give an easy time to a newcomer. Alonso knows Ferrari very well and has been there for four years; Kimi knows the team from before, but that was many years ago so let’s wait and see. When you have two top drivers in the same team, the pressure on each one to perform is three times higher. That pressure can sometimes be distracting for the driver, although it influences people differently. When I was team-mate to Nigel Mansell at McLaren in 1995, and also Ayrton Senna in ’93, there was a lot of tension, which disturbed the whole team. It is not necessarily a positive boost. Even if the drivers don’t cause problems with their actions, it can still make things difficult. I’m not saying they will not do a good job because they are both great drivers, but it could unsettle the team unless things are very well managed between them. It’s not so much about what happens on the track, but off it. But remember, Kimi is not the only Finnish driver on the grid. It’s no secret that I’m working with Valtteri Bottas. While the results don’t look so impressive, he has been doing a fantastic job and has succeeded very well in his first season in Formula 1. He’s consistent and his pace is good. That consistency is so important in gathering data and the understanding of the development that’s needed to make the car go faster. He has done fantastic work establishing himself in F1, working very well with the team and getting respect from everyone at Williams. When I was at Team Lotus in 1991 and ’92, my first two years in F1, I have to admit I had so much to learn about how F1 functioned and understanding the technical side of it. Like Valtteri, I was learning when the car was not really up to speed and in my first season I scored just two points. But this is a time when you have to fight, really go for it even if you are fighting for 18th or 19th place. You have to keep your foot down all the time and focus on developing the car in a difficult situation. When a driver is not winning or getting good results, there are a lot of doubts. People might ask why Valtteri is not winning, but it’s important to collect the facts and understand the reality. When you look at the timesheet, it doesn’t always tell the truth to the fans and I have great confidence in what Valtteri has done so far. It took me seven years to score my first grand prix win. That shows you must have a long-term view, have trust in people and believe in yourself. There are days when you cannot win and you must analyse every little detail of why that’s happening. Just changing things all the time is not the path to success. It’s about building up and developing together with the team. There were question marks over me at times, but all the time my teams had trust in me. McLaren told me, ‘Yes, you are the fastest driver, just wait and we will give you the car’. I trusted them and then I won the world championship with them. Even though there were hard times along the way, I took the right decision and Valtteri is doing the same thing. He believes in himself, understands the reasons why the results don’t come. The most amazing thing is how much better he was in his first year than I was, because there is so much data available. When I started racing with Lotus, I was looking at Ayrton Senna’s data from when he was racing for Lotus [four years earlier]! But today you get so much data from the track and from simulators that helps you to understand. Valtteri has done very well to learn from all that. When he was test driver, he studied how the team works, how the mechanics operate, how they build gearboxes, exhausts, suspension, aerodynamics to prepare for F1. That was a great training ground. And he has always remained positive, motivating people, not showing too much emotion and complaining all the time. That’s how Valtteri has approached the whole season and it means he will be prepared when he is driving a more competitive car. I’m so sorry to correct your post but Mika Häkkinen isn’t Finland’s first F1 World Champion. Keke Rosberg won the championship in 1982. Fuel saving will be paramount in 2014 – the new engines are extremely complex with only 100g to complete an entire GP. And because the rev limit will be 15.000rpm, drivers will very rarely top out. I believe Kimi’s driving style will be well-suited to not only save fuel but also in controlling wheel spin much better than Alonso with the vast torque of the new 1.6 turbo engines – with their energy recovery systems (ERS). So yes, Mika is correct. My money is also on Kimi. Keke Rosberg was first finnish F1-champ. Completely agree, Kimi is the master of smooth and fast, with a beautiful style! Alonso pushes the car too hard, in a turbo he is going to struggle badly, spinning and crashing!! 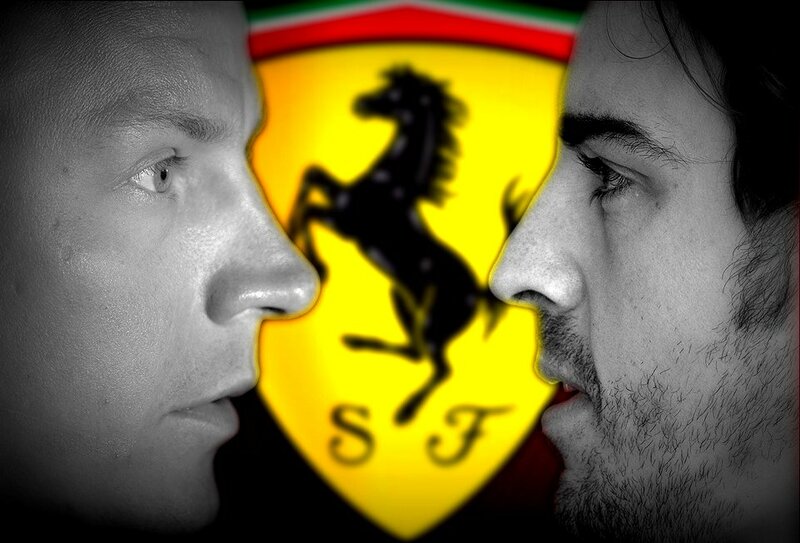 If Ferrari deliver the right car, 2014 is Kimi’s!! kimi become a smooth only after joining the lotus right with the new pirelli tyres?..because from the days of mclaren i have never head anyone refering kimi as smooth driver, jenson had that style but lately kimis been refered to mastered that style..
It’s not about what kind of driver Kimi become. Kimi just got enormous amount of talent, he just feels how to drive fast no matter what he is driving. Some same it’s his gift and curse, cause it is easy for him and due to that he comes across as not determined enough. But he is certainly one of the most focused drivers on the grid regardless what is happening around him. I agree with Mika, also with Leonardo. It’s simple. The guy (Kimi) simply controls the pedals pretty well. From time to time he locks the brakes but it’s still good. Previous Ferrari reveal launch date; Ask Kimi your questions!